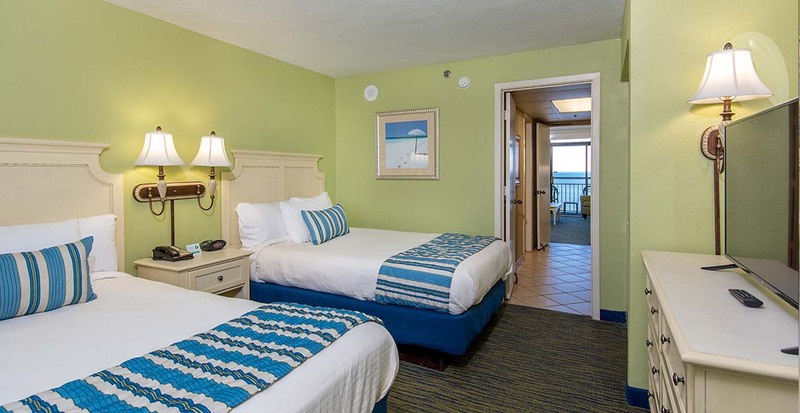 Our Oceanfront Double Suites come with one bedroom with 2 double beds, one bathroom and a common area. 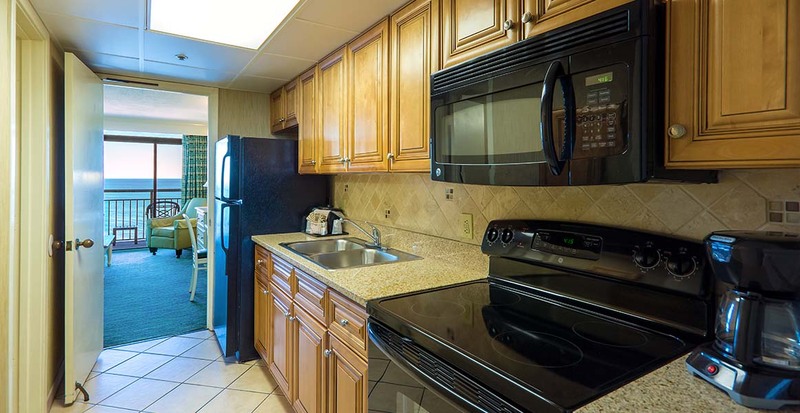 These units feature a galley style kitchen with flat-top stove, sink, microwave, coffee pot, toaster, basic dishware and cookware and a full-size refrigerator. The living room has a sleeper sofa as well as a double-size murphy wall bed. 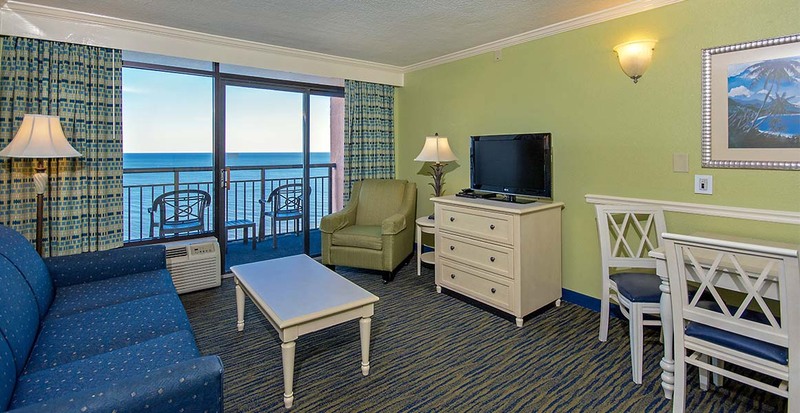 The suites feature one HDTV in the living room, a second TV in the bedroom, a two person table with chairs and a private oceanfront balcony. 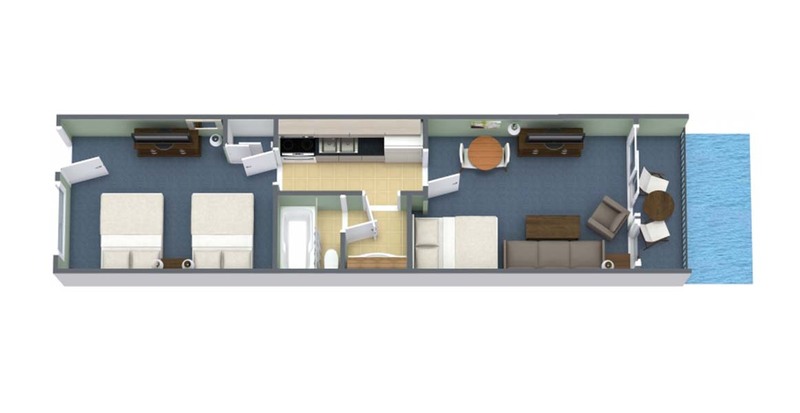 These 501 square foot units sleep up to eight people.